Looking for a way to teach character to your child in a fun way but from a biblical perspective? 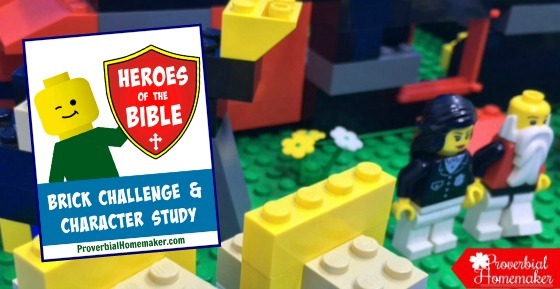 The Heroes of the Bible Brick Challenge & Character Study is a fantastic tool for family discipleship or homeschooling! There are so many powerful stories in the Bible that are full of amazing men and women. If we take the time to study these people and their stories a little closer, we will ultimately be learning about the character of God, and how He brings about His good and perfect will. 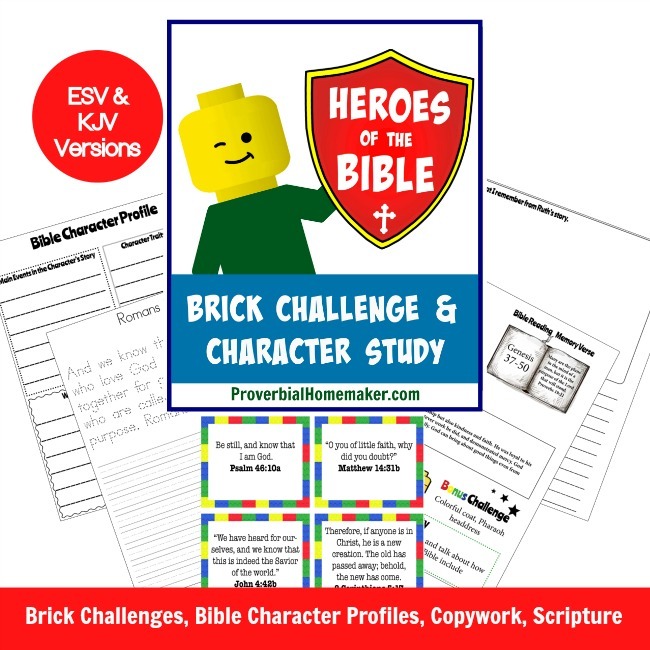 The Heroes of the Bible Brick Challenge and Character Study is perfect for homeschooling, family discipleship, and Sunday school settings. You can make it a part of your regular lessons or have a fun weekly interactive family time centering on God’s Word. It is great for hands-on learners and can be used for ages pre-K through 3d grade. Actually, this entire study is about Jesus. He is THE hero. While we may see these “heroes” and “heroines” as great people, the reality is that, like us, they are all sinners in need of the Savior. In their stories we can see God pointing to His plan of salvation through Jesus Christ. We can see examples of what it looks like to follow God’s ways vs. our own way, and the consequences of each path. You can buy the Heroes of the Bible study NOW! Don’t forget to check out all the Bible Brick Challenges here at Proverbial Homemaker.